There are three parking lots provided by the airport as Short-Term, Long-Term, and Economy Lot. 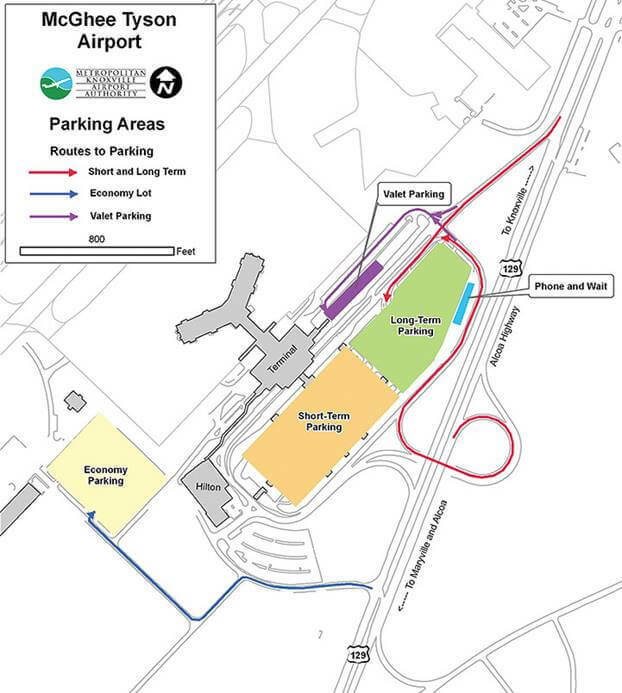 Short-Term Parking Lot is located in a 5-minute walk from the terminal and costs approximately $18 per day. Long-Term Parking Lot is a covered parking area located in a 10-minute walk from the terminal and costs approximately $12 per day. Economy Lot is located in a 15-minute walk from the terminal and costs approximately $10 per day. To obtain more details regarding the parking policies of the airport the one may call at (865) 970-2749.